... with the thought coming to mind: this is an Art Deco period building in the back streets of Auckland City. Actually, these days it's a carpark, with a tavern at the ground floor corner called Mo's. But its remaining features intrigued me. Why "Reo Carpark", for starters? So, I visited Auckland Council Archives, looked up the valuation field sheets, and viewed their permit records. The REO building was constructed in 1937 for A B Donald Ltd, a firm established in 1875 by Alexander Bell Donald with the building of the schooner Agnes Donald. Over the years, the shipping and merchant firm, trading in the South Pacific, became a business empire diversifying into various trading divisions. One of them, headed by Norman Donald from 1926, was the firm's REO agency for vehicle importing and assembly here in New Zealand. 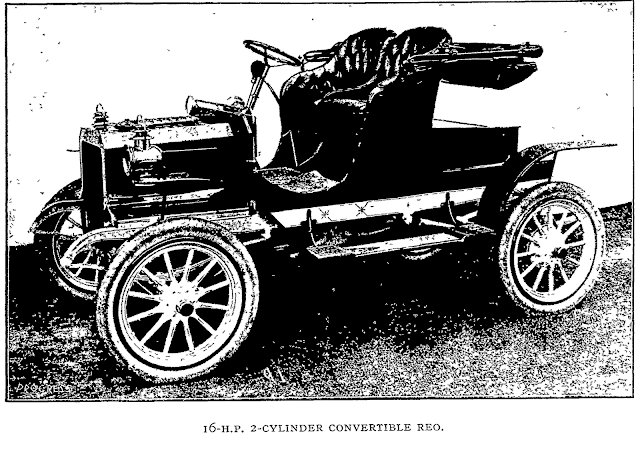 Motoring enthusiasts would be well aware that REO stands for Ransom Eli Olds, after whom not only the REO brand and REO Motor Car Company was named, but also the Oldsmobile. REO was established in 1904 in America; by 1905, the ads had hit this country. 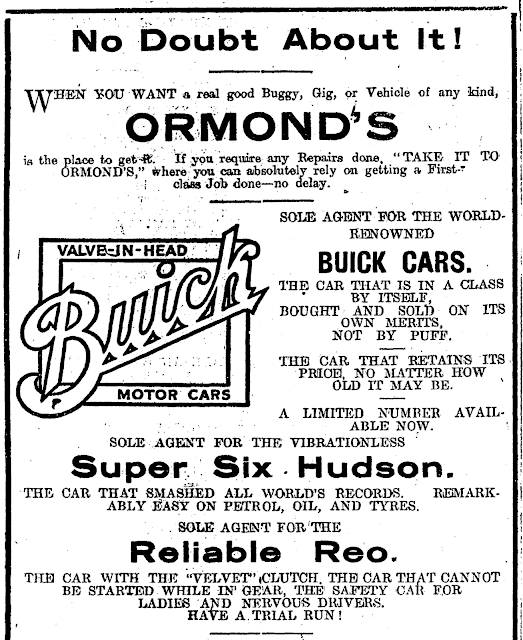 In the second decade of the 20th century, Ormond's was the sole agent for importing and distributing Reo brand motor vehicles in the country. 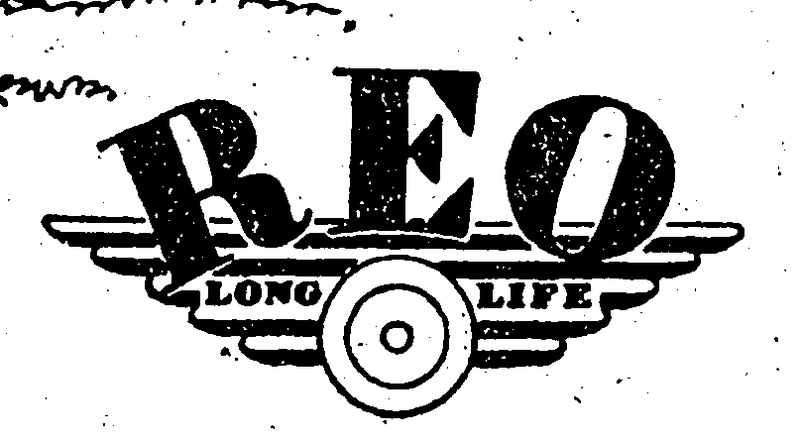 When A B Donald first branched out as Reo agent, the subsidiary Reo Motors Ltd was located at Customs Street West. "Badge and part of the radiator grille on an REO Speedwagon at the Jack Daniel's Distillery, Lynchburg, Tennessee. Photograph taken during November 2004, CC-BY-SA-3.0-MIGRATED; Released under the GNU Free Documentation License," via Wikipedia. 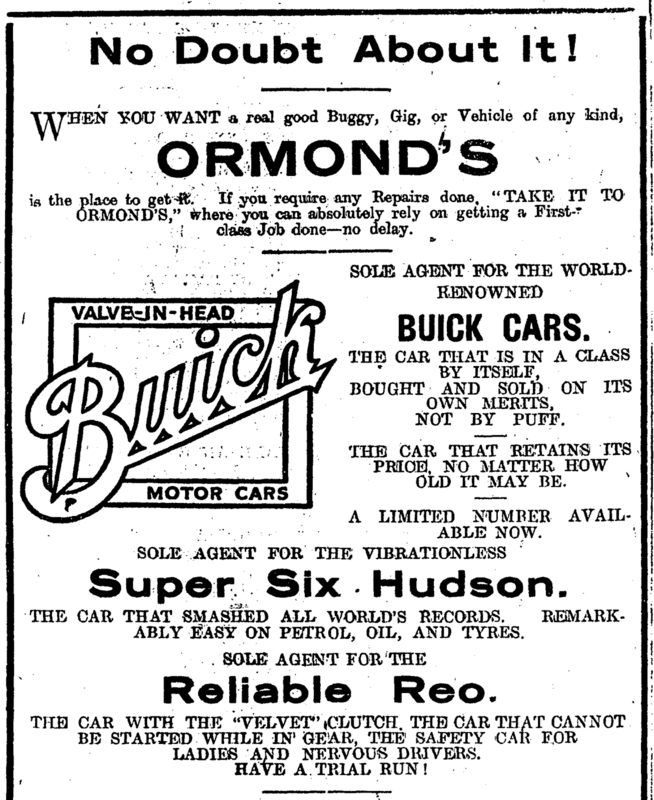 See also the logo in the September 1930 ad above. A good image of the building in its heyday is available on the Auckland War Memorial Museum site. Note the bowsers where the tavern is now located at the corner. But, the clear lines of the building's 1930s origins are still visible. Thing is, the building doesn't seem to be scheduled by Auckland Council, registered by Historic Places Trust, or included on the Art Deco Society's website under notable commercial buildings in the style. I think the exterior of the building, still showing most of its style after 75 years, should be recognised. 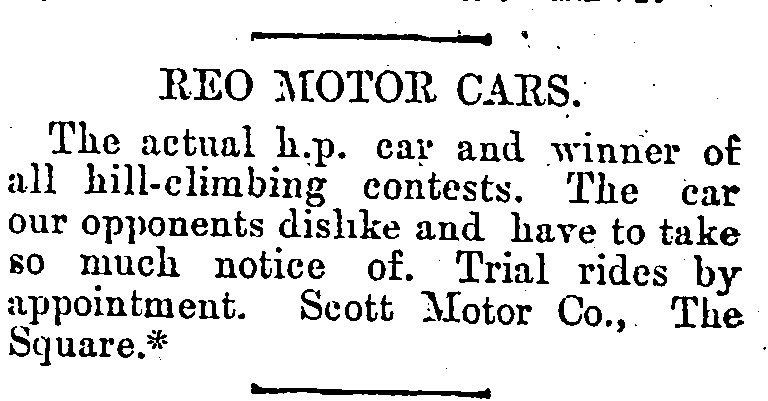 I hadn't heard of the Reo motorcar and it's funny that the name has been retained on the building, and what a fine building it is. 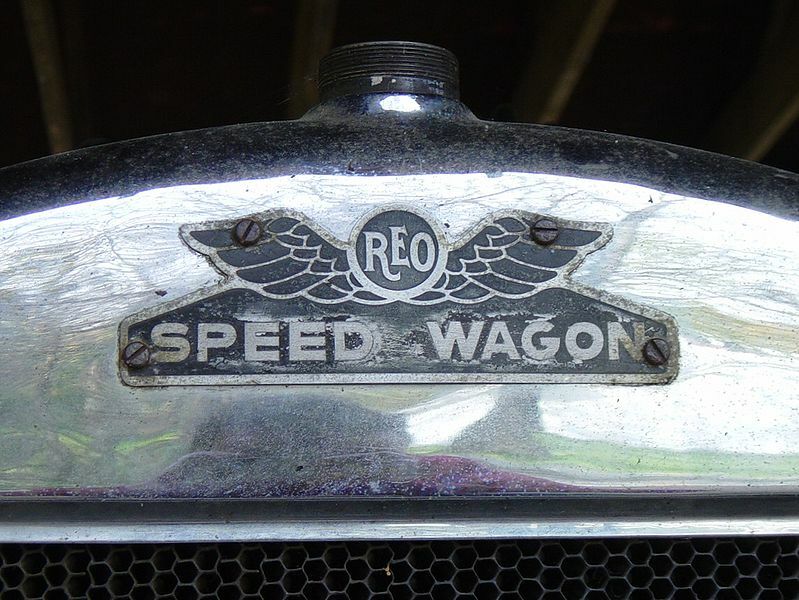 I always wondered where the 1970s pop group REO Speedwagon got its name, and now I know. Thanks. In my opinion, buildings like this should be heritage-listed and preserved. After all, they don't make 'em like that anymore. Is there a process for getting the City Council to review the status of old buildings? There is a process, but at the moment I'm waiting to find out from Council exactly how members of the public put in a submission at the moment. Just talked with the call centre a few moments ago, and was directed to the old Auckland City website -- but couldn't find the right form there. I have seen a number of surviving REO cars and trucks in NZ,ranging from 1906 to 1936, but did not know of the existance of this building. 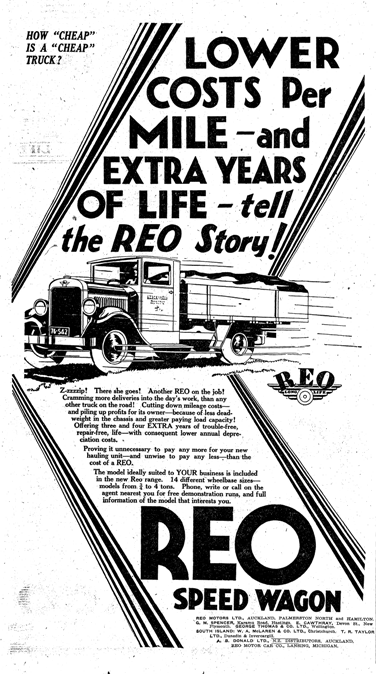 The last REO car was made in 1936 after which trucks were made with the REO name until 1975. A very interesting post. Stephen. Cheers, Stephen. The building surprised me -- I had no idea it was there either, and certainly didn't think there were any surviving connections in New Zealand aside from the remaining vehicles. I like transport history, and that combined with the Art Deco styling -- I find totally intriguing. Thanks again. I've had a response from Council, will do a post especially on the topic of suggesting places for scheduling shortly. 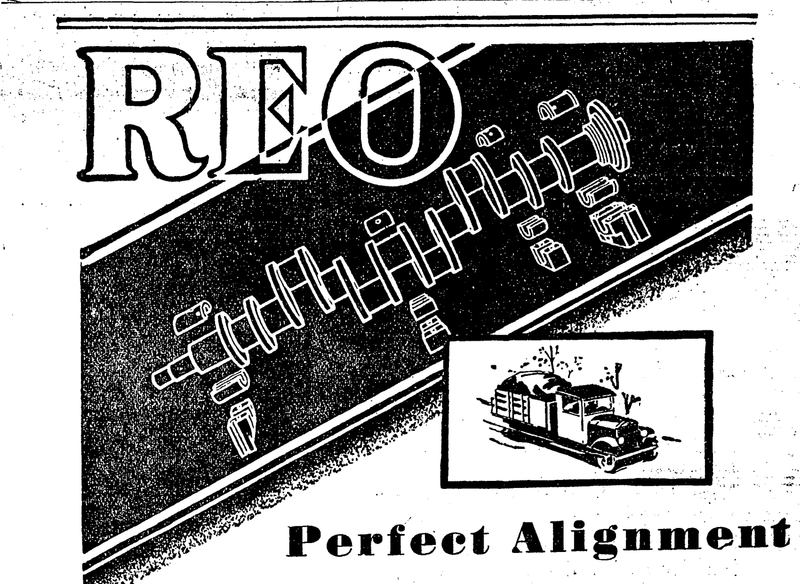 There is a lot of history here, where they used to assemble Reo trucks, my father in law used to rivet the chassis together etc. 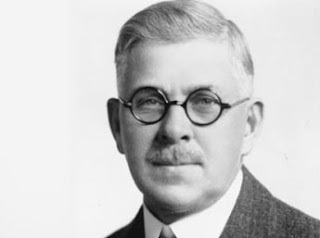 Ewen Donald established Reo Motors in Takapuna with Holden. Where I worked for 10 years. Great research - thanks for sharing. We are sitting in the cafe opposite & wondered about the building! Abel Tasman's descendants on the Coromandel? How to suggest a historic place to a Council?